They also handed out 600 tickets to people violating travel bans. 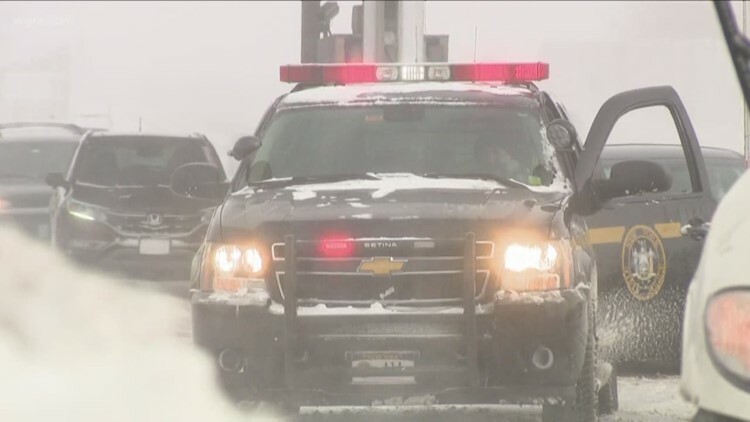 BUFFALO, N.Y. — State Police say they were busy during that winter storm last week. They reported on Monday that troopers responded to 1,100 crashes in areas affected by the storm, as well as more than 1,500 disabled or abandoned cars. They say they handed out 600 tickets to people violating travel bans as well.